Ola! Uber is open and the Macabre Theme is definitely right up my alley, as a slow withdrawal of the Halloween Season……..and before we head into the Xmas season, However I’ve already spotted some xmas things already while out and about in rl as well as sl lol. I am definitely loving this fabulous Baiastice Mesh Dahlia Gown with the macabre Collar and attached Spine, the Dahlia Hat is also available along with these wonderful mesh Long Claw Gloves and of course there are many colours to choose from. I realized last week while I was being rescued by the gorgeous Alles, that I needed more red in my life. I absolutely love the colder hues especially for winter, but I need to heat things up a little and go for the wildly stunning red. I grabbed a few new Glam Affair skins from Uber as well, Lauren is just hauntingly beautiful. 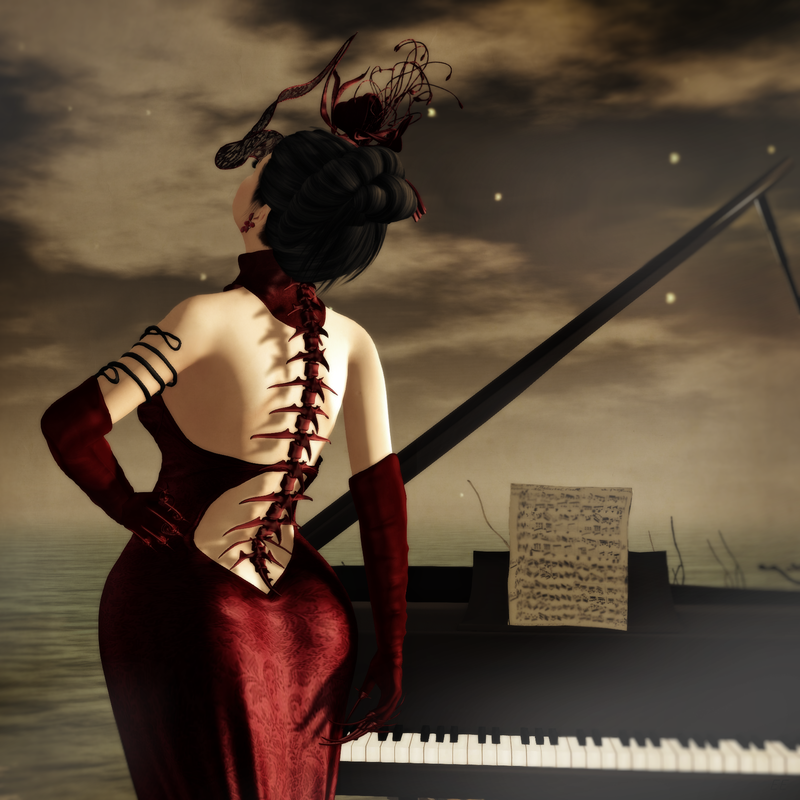 Head over to The Fantasy Collective for the amazing Ever Hair by Epoque, and The Instruments for these wonderful poses from PosESioN. Hai! Long time no blog 😉 For my last post of the night I bring you more awesome sauce! BOOM Has these amazing new Mesh Olycena Bow Pumps out at Shoetopia, These are sooo pretty I could burst! They come with a hud to change the bow colors, and of course there are a variety of colors to choose……the fabulous little Foot Jewel is from .:ellabella:. and is a gacha item out at Shoetopia as well……..I need more colors! it is darling and you can move it around to where you want to wear it. 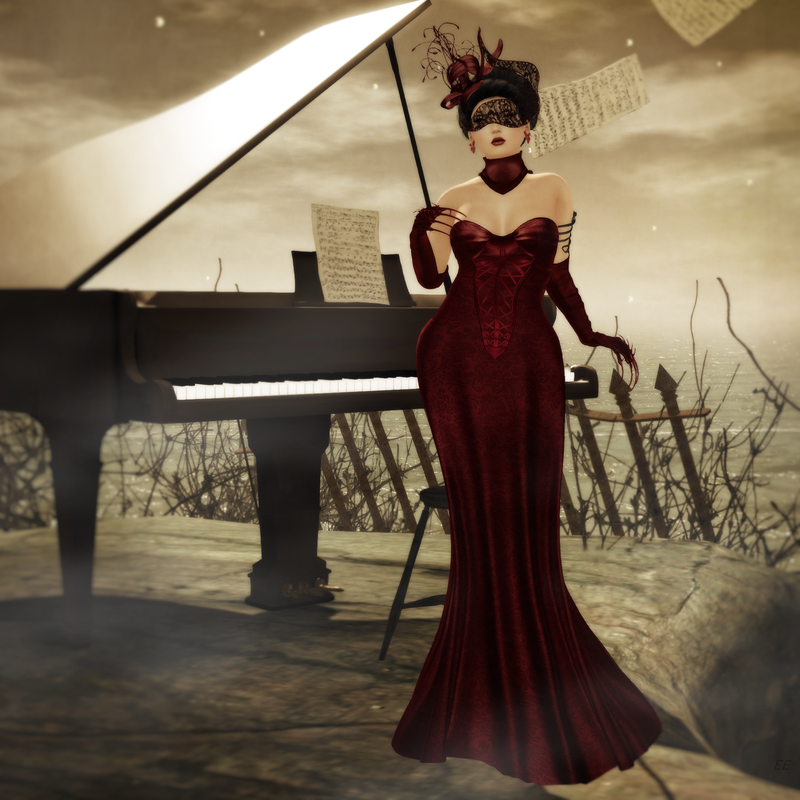 I picked up this fabulous new mesh Miranda Dress from Coquet at FaMESHed to go with. Magic Nook has these pretty Mesh Celtic Dream Bracelet in Silver or Gold at TDR Fusion…….and of course Exile has brand new Hair out, so I popped over and picked up Run to You in Light Browns. Oh and Flair is having a 50% sale in the mainstore at The Deck, so go……there are over 180 styles to choose from and at this amazing price you can get them all lol 🙂 Oh how I love pretty nails! 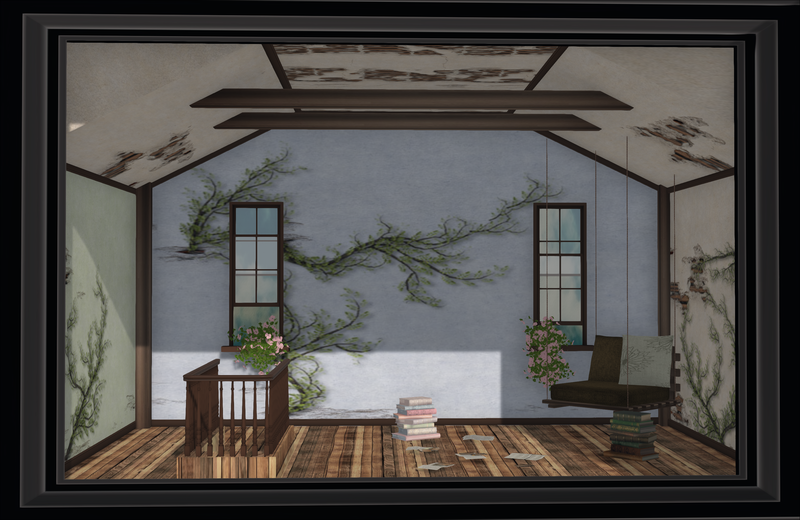 As you can see we are viewing my bathroom tonight, I started out with the fabulous Woodsman Cottage from Scarlet Creative and ran with it, filled it up with all my goodies, some of these are older but still much-loved items from all my favorites! Now I must sleep…booo, but I will be back after the kidlet heads off to school tomorrow as I have much to blog! Nails: Flair ~ Nail Set 180 Nail Hud Add-on for SLink (av) Hands/Feet New ❤ Avail@My Attic at the Deck….50% Sale instore as well! ……and mine is screaming Fishy Strawberry!!! This is such a wonderful treat to have every once in a while from one of my absolutely favorite brands……I think I have loved this store for most of my sl life hehe. Fishy Strawberry is a guest at My Attic at the Deck for the ‘Baby It’s Cold Outside’ theme this month. However this wonderful mesh and material enabled duo of the Faux Fur Stole with the fabulous La Belle Dame Dress is hot Hot HOT……do not stay inside for this beautiful ensemble, there are many colors to choose for the dress and the Fur Stole comes in two separate fatpacks for only 95L each……….yes I am a happy lady tonight! We are also treated to a wonderful pose set from aDORKable Poses, I love and miss this store very much, so the Nippy pack which includes 10 poses and their mirrors is a wonderful surprise. Get down to My Attic at the Deck simply because this months round is amazing!